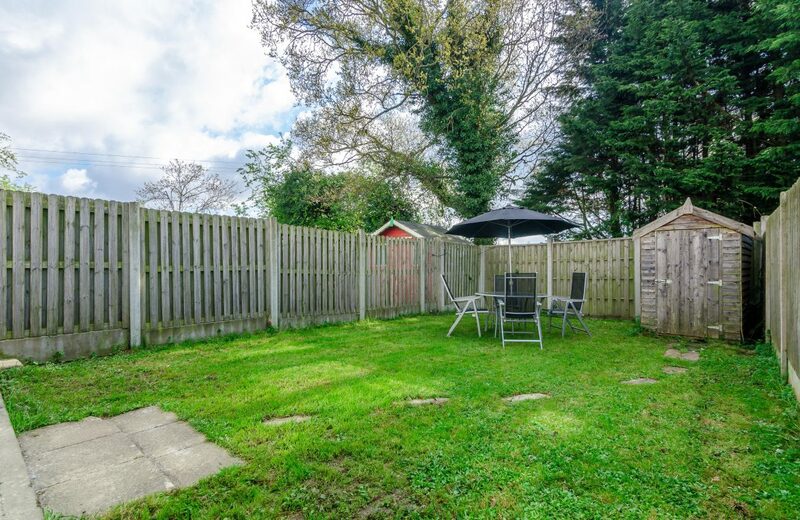 KELLY ESTATES and LETTING AGENTS are pleased to bring to the market this **NEWLY EXTENDED FAMILY HOME** in excellent condition throughout. 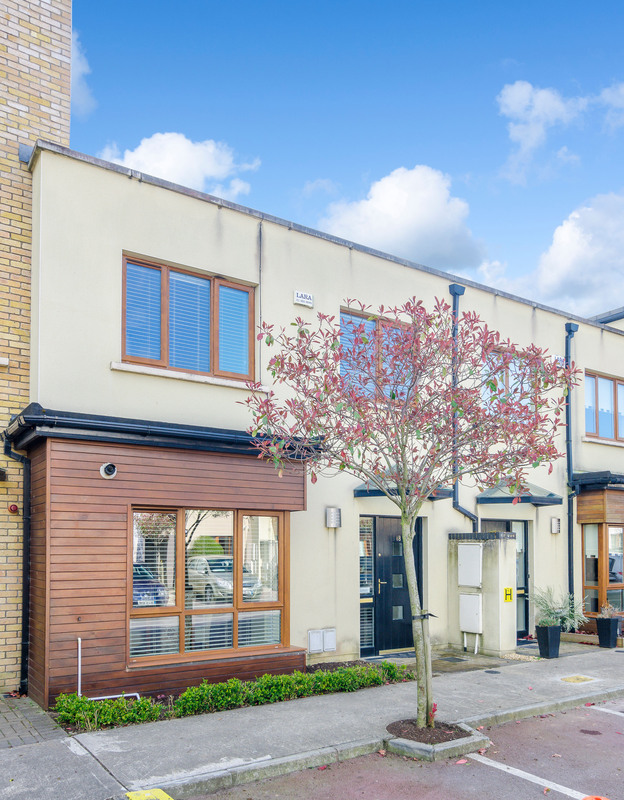 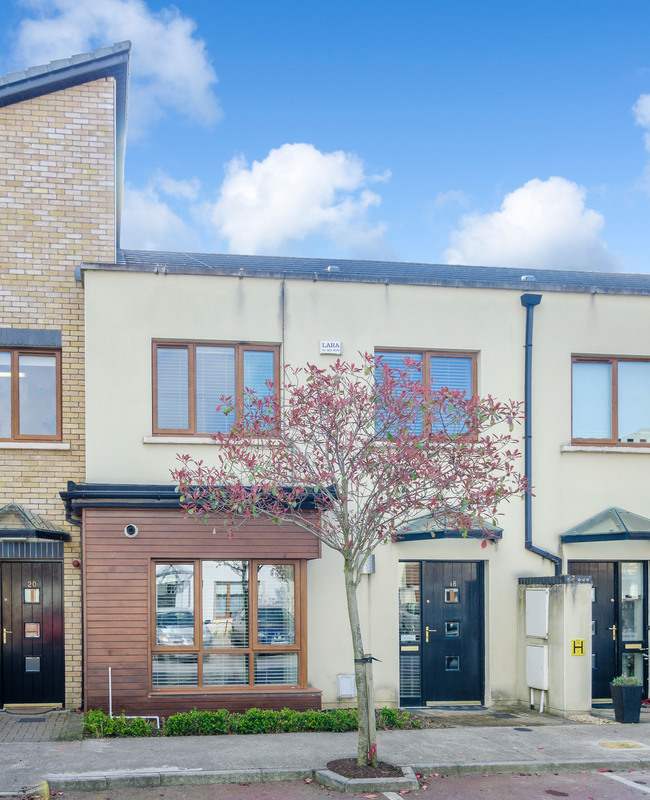 Situated in a very popular and sought after development in Newcastle Village, Number 18 comes to the market in IMMACULATE condition throughout, with a turn key finish, an opportunity not to be missed!. The accommodation extends to c. 129 m2, is bright and very well laid out. 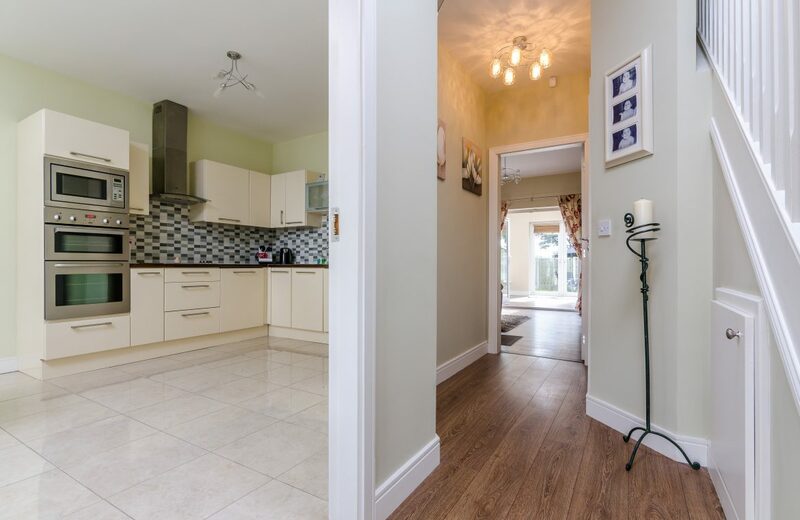 This is an absolutely stunning home located in a sought after residential estate. The spectacular property offers generous accommodation throughout. 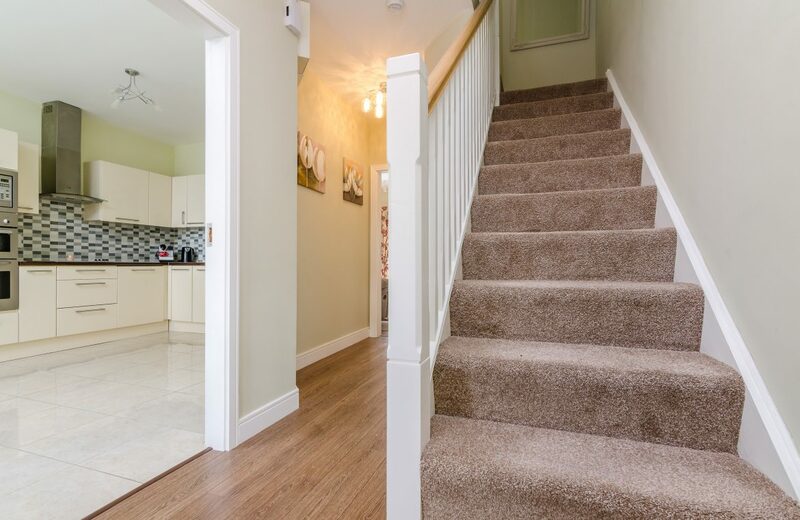 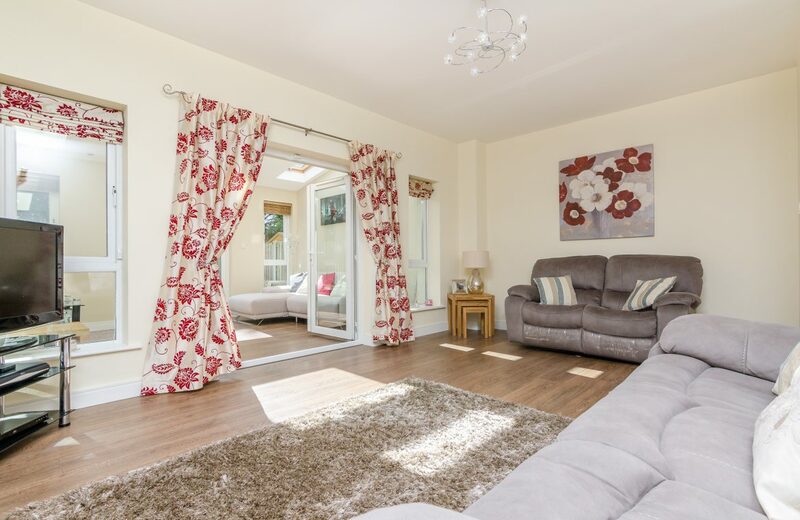 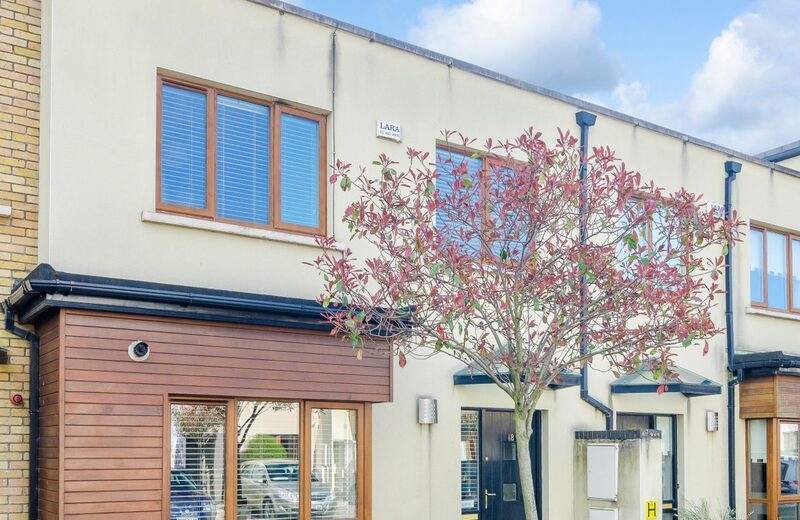 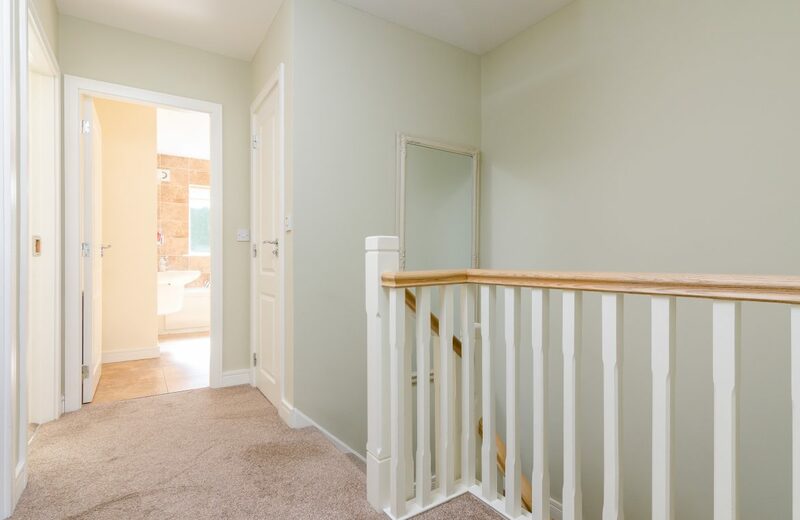 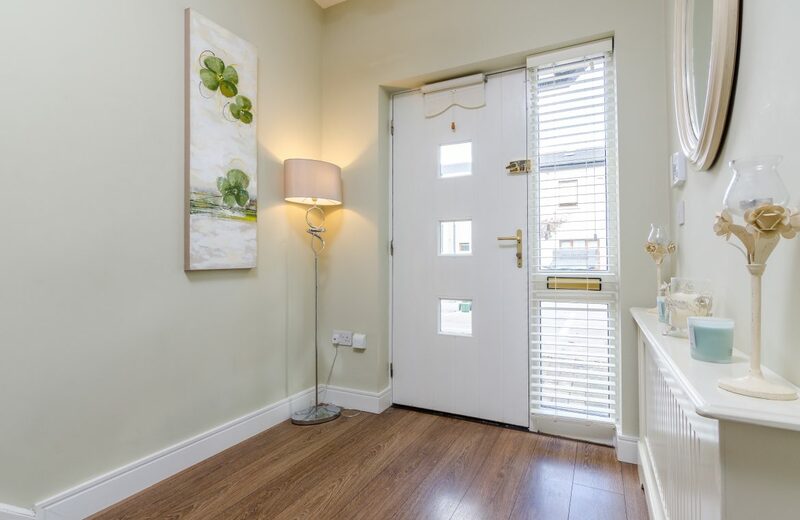 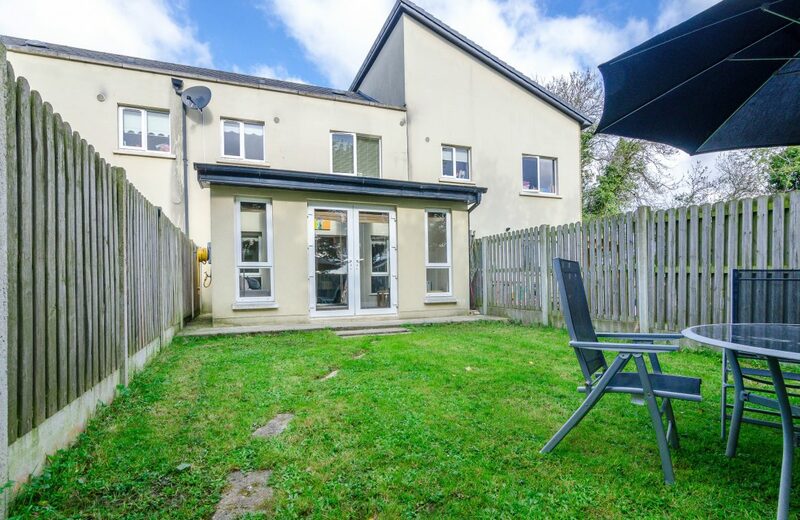 The bright and spacious property briefly comprises of an entrance hall, guest w.c., kitchen/dining area, large living area, conservatory/living room, landing leading to three bedrooms, master en-suite and main family bedroom. The current owners of 18 Aylmer Drive have extended the property to achieve maximum space offering an extra reception room. 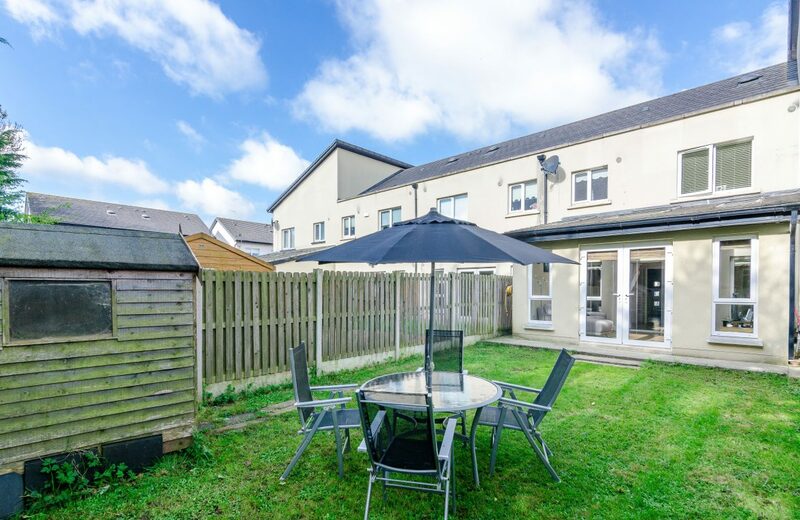 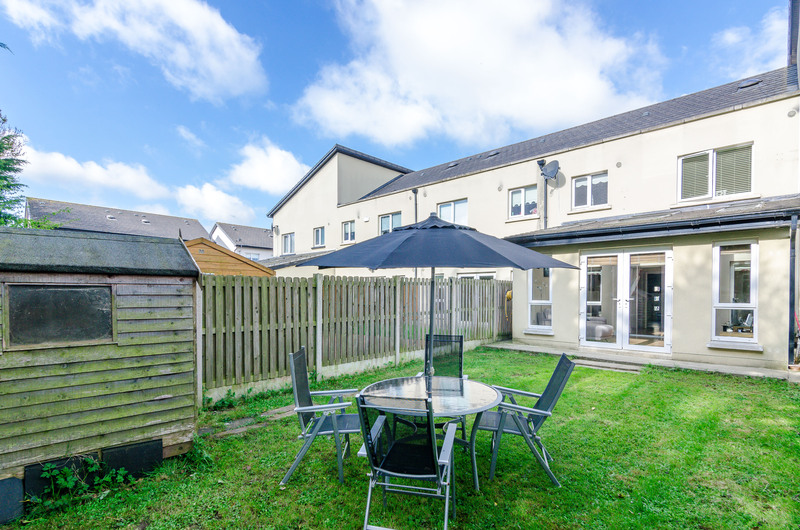 This extremely convenient location is a stone throw away from Newcastle Village with all local amenities on your door step, you could not ask for a more central position! 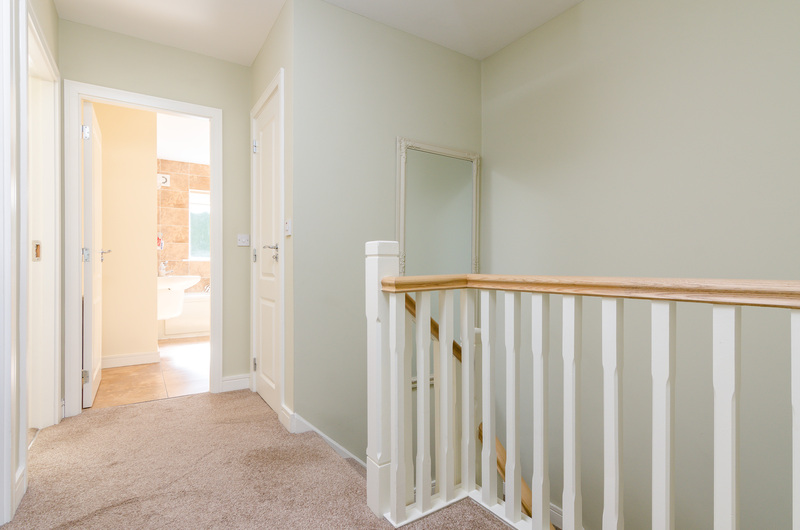 Reception Hall: (3.7m x 1.9m) with wooden floors, carpet stair case, access to living room & kitchen. 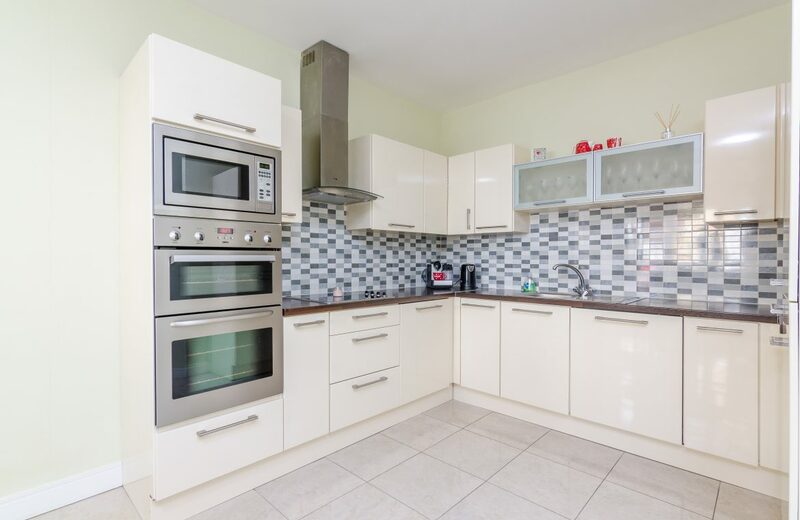 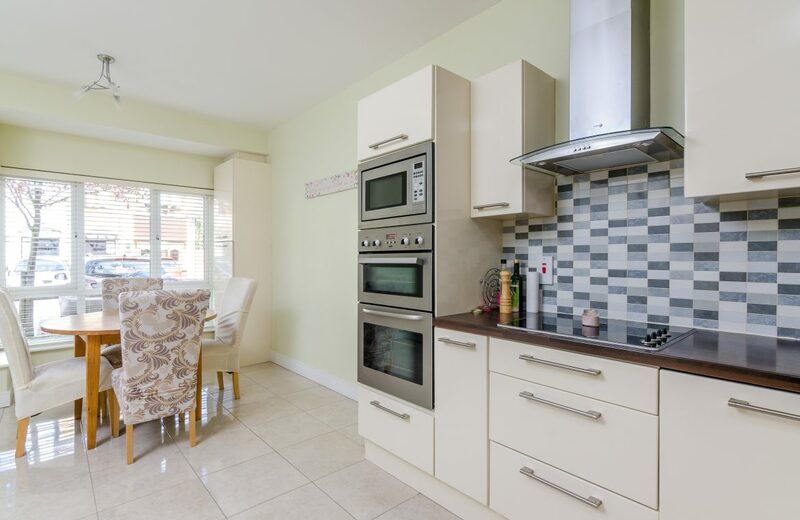 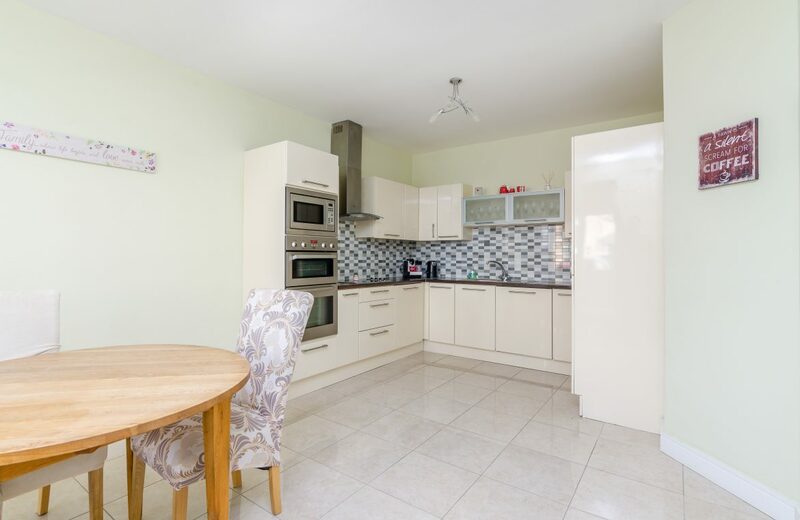 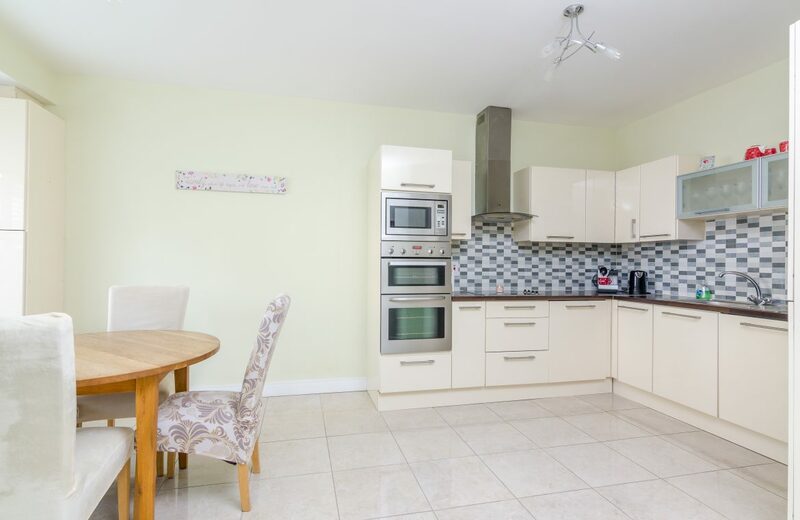 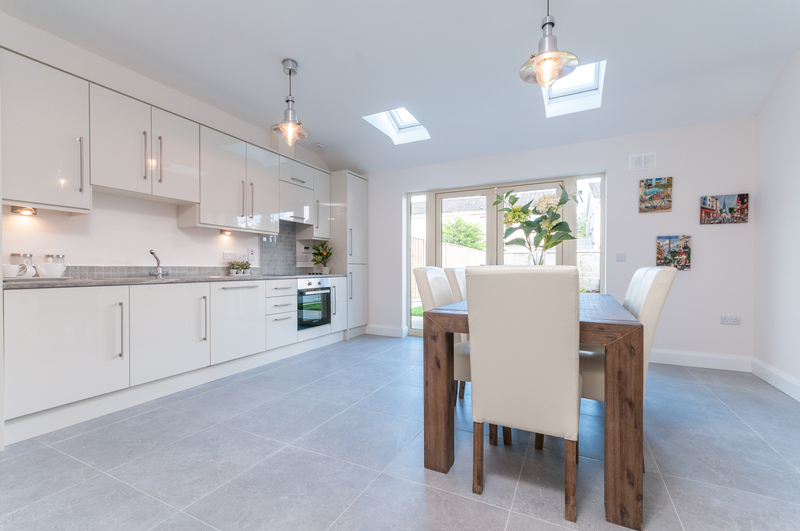 Kitchen/Dining area: (6m x 3.6m) with high gloss cream press units, drawers, saucepan drawers, worktops, electric hob, extractor fan, tiled splash back and tiled floor. 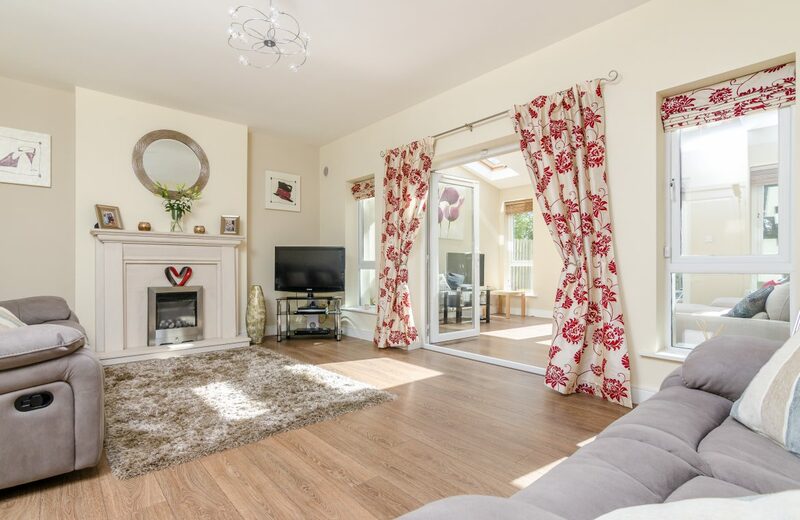 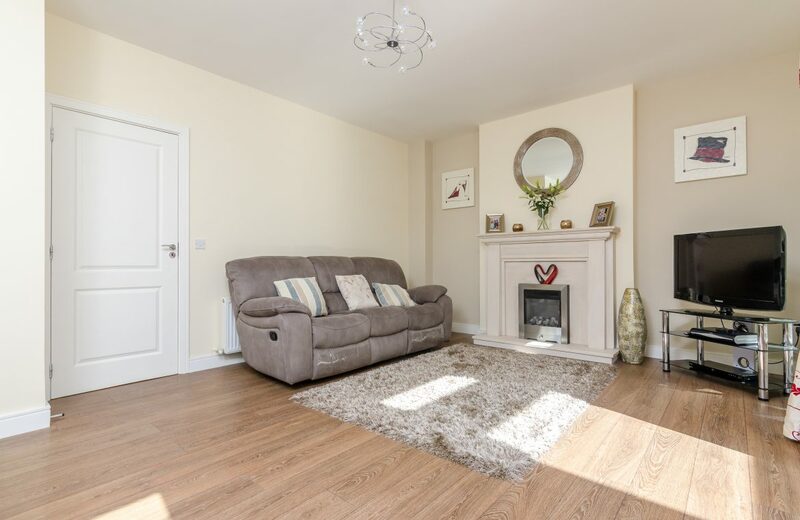 Living room: ( 5.7m X 3.4m) with wooden floor, cream & marble heart feature fireplace with gas feature fire, double doors to sitting room/conservatory area. 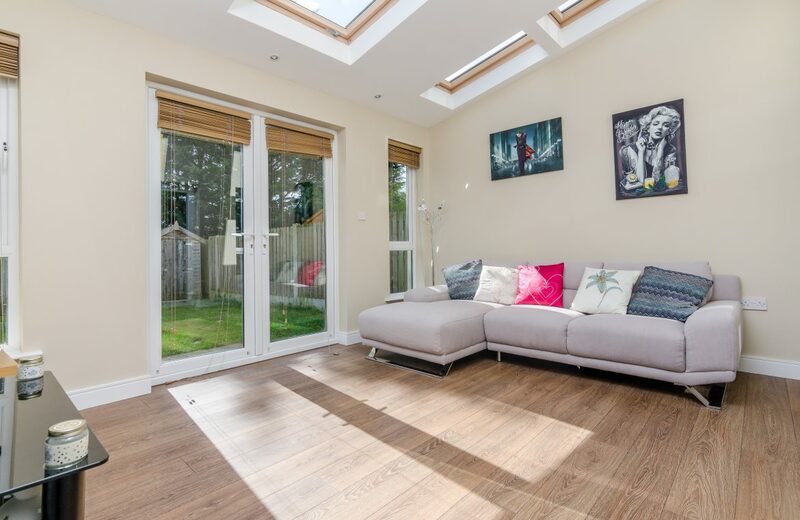 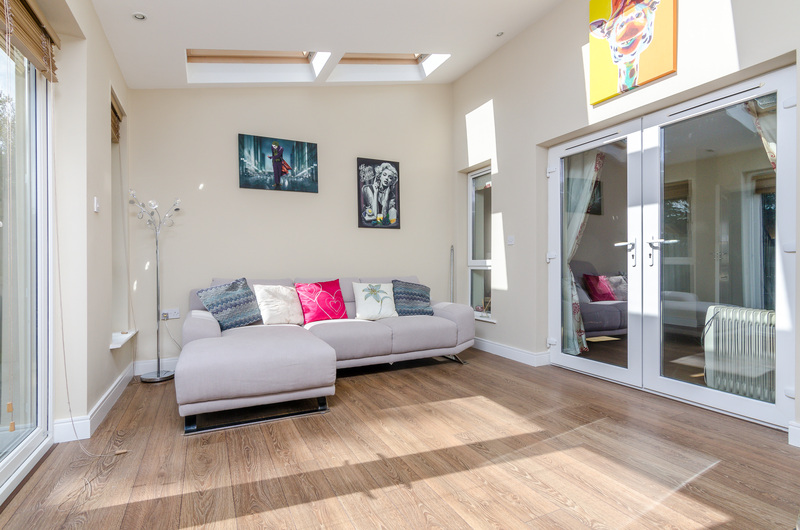 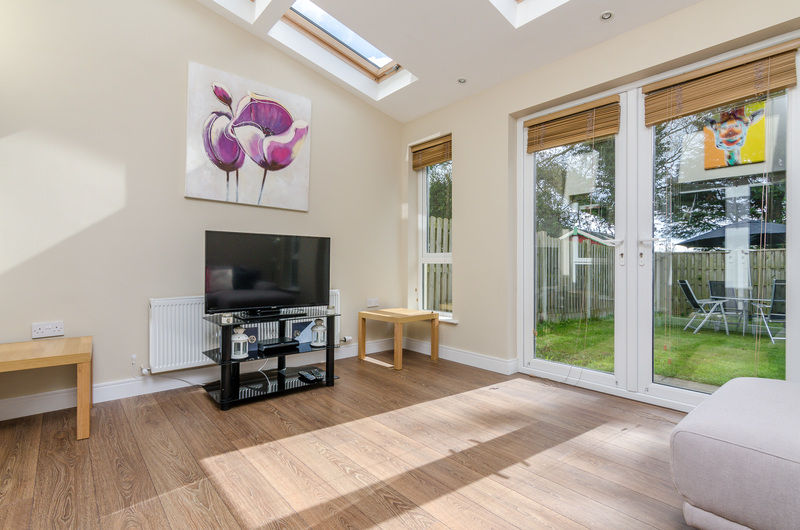 Sitting Room/Conservatory: (4.45m x 3.34m) wooden floor, sky light windows offering plenty of light, large double doors to rear garden. Guest W.C: (1.37 x 1.9m) w.c, wall mounted pedestal wash hand basin, tiled floor. Landing: (2.53m x 3.03m) with carpet. 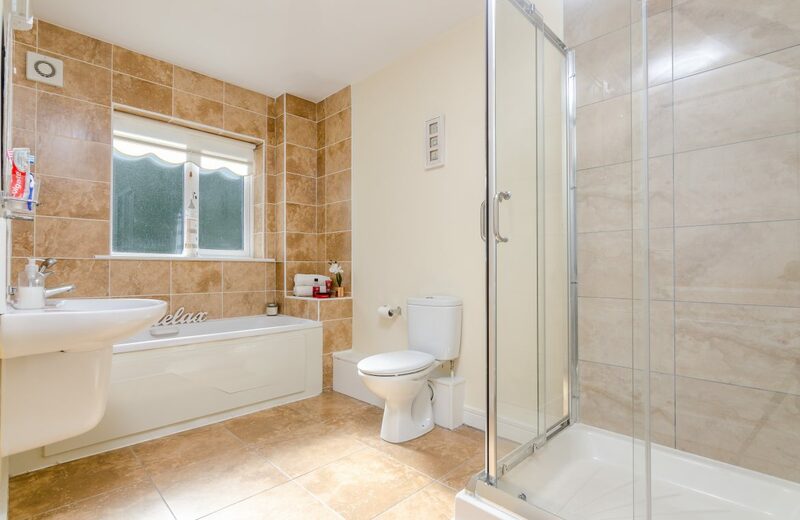 Bathroom: (1.95m x 3.25m) w.c., wash hand basin, bath, shower cubicle, fully tiled floor & part wall tiled. 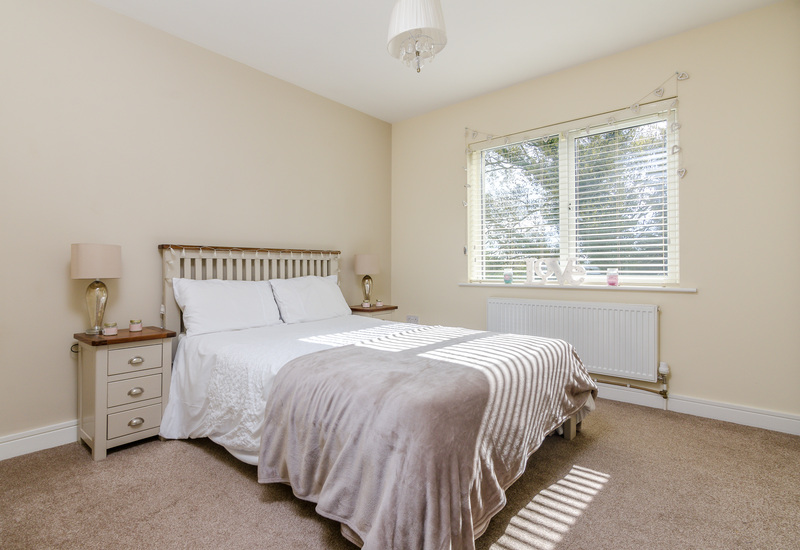 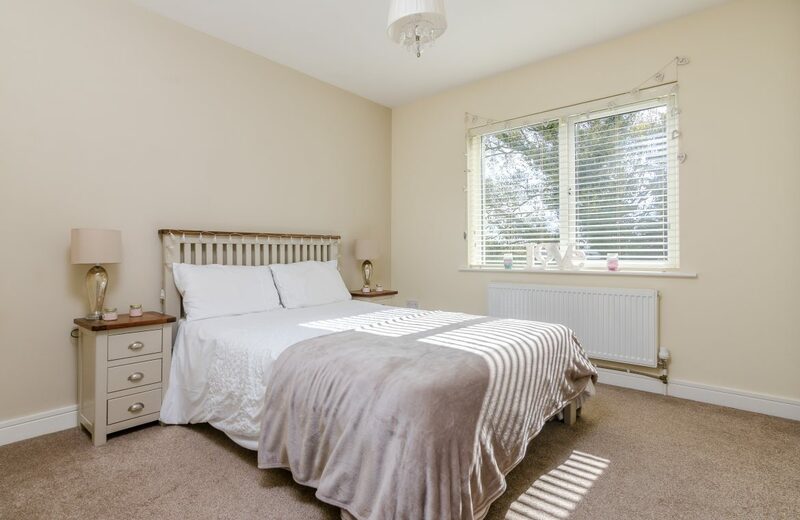 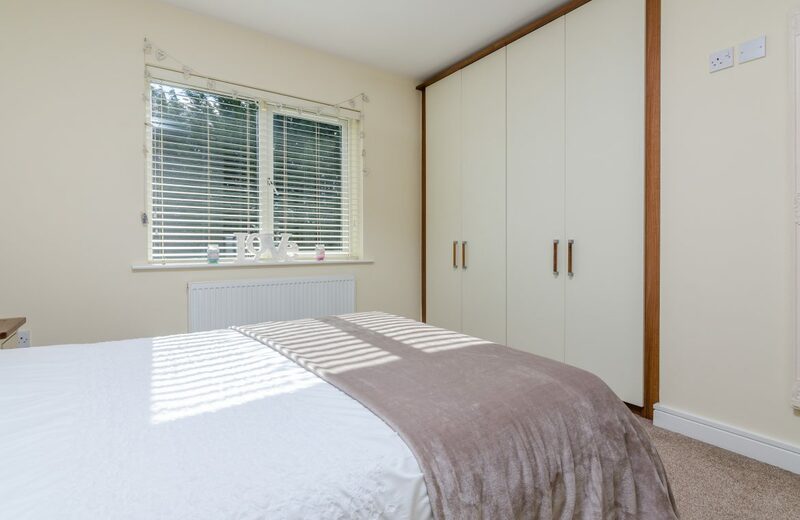 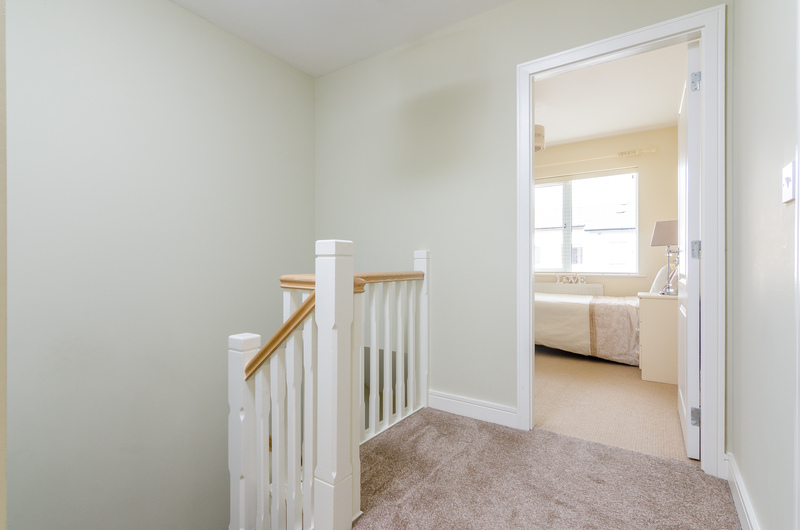 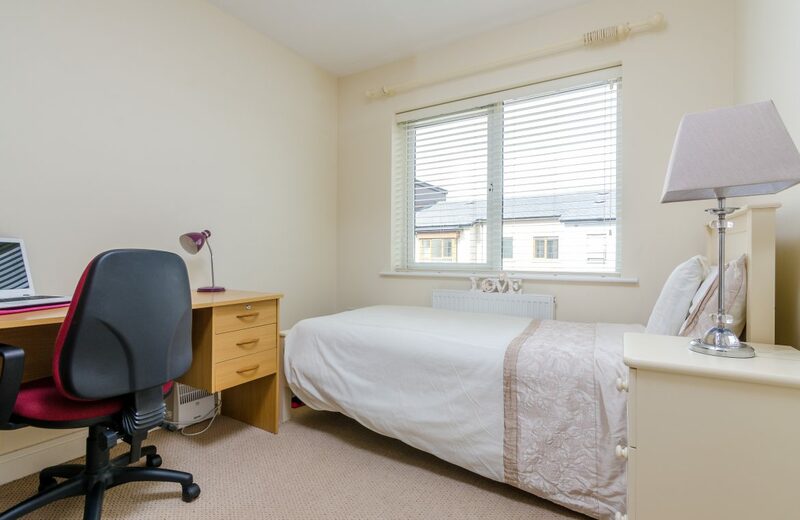 Bedroom 1: ( 4.9m x 3.05m) double room with carpet & built in wardrobes, access to ensuite. 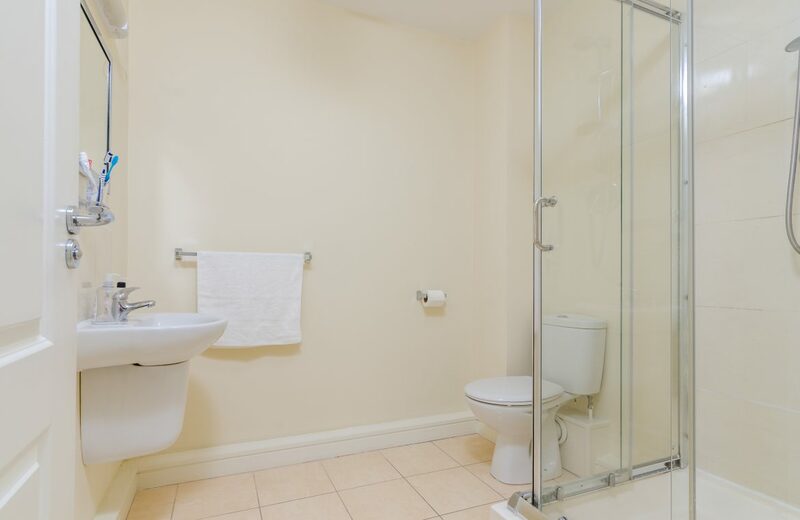 Ensuite (2m x 2.1m) w.c, wall mounted pedestal wash hand basin, shower cubicle & tiled floor. 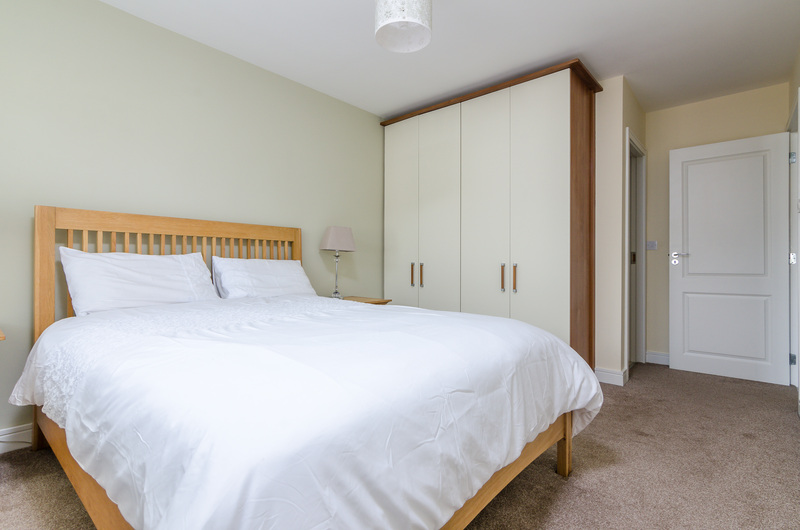 Bedroom 2: (3.7m x 3.2m) double bedroom with carpet floor & built in wardrobes. 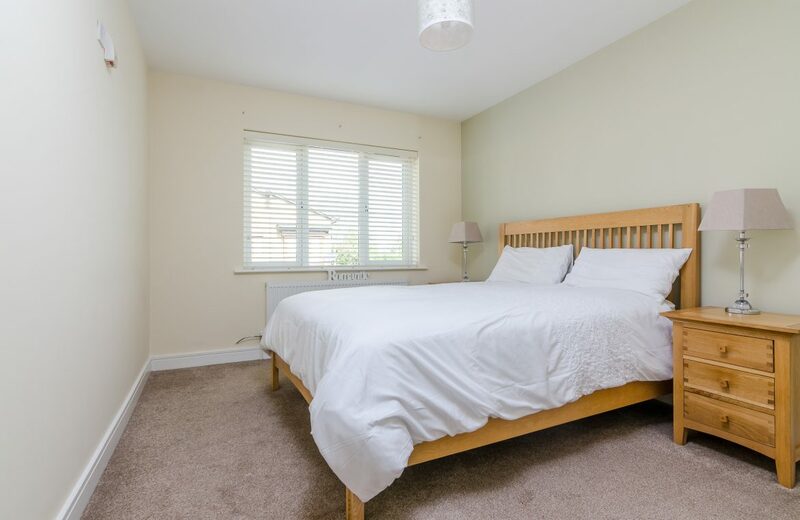 Bedroom 3: (2.9m x 2.6m) neat bedroom with carpet floor. 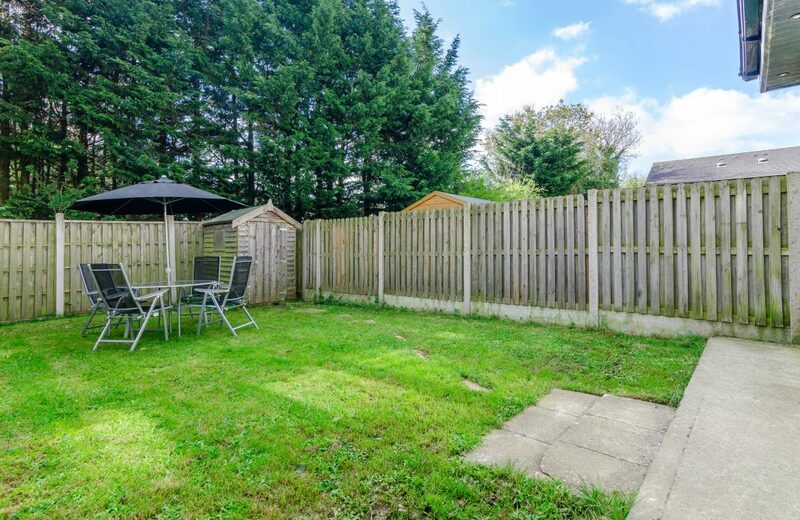 Rear Garden: Barna shed, lawned, fully fenced. 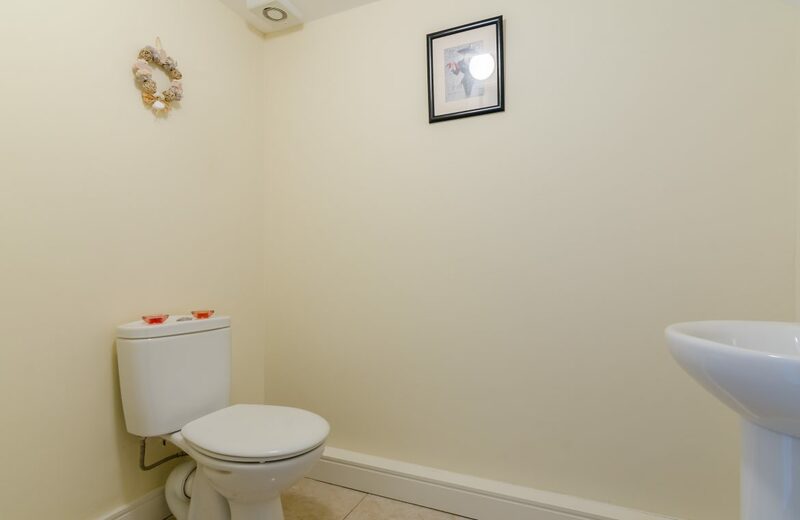 >> QUIET CUL DE SAC LOCATION. 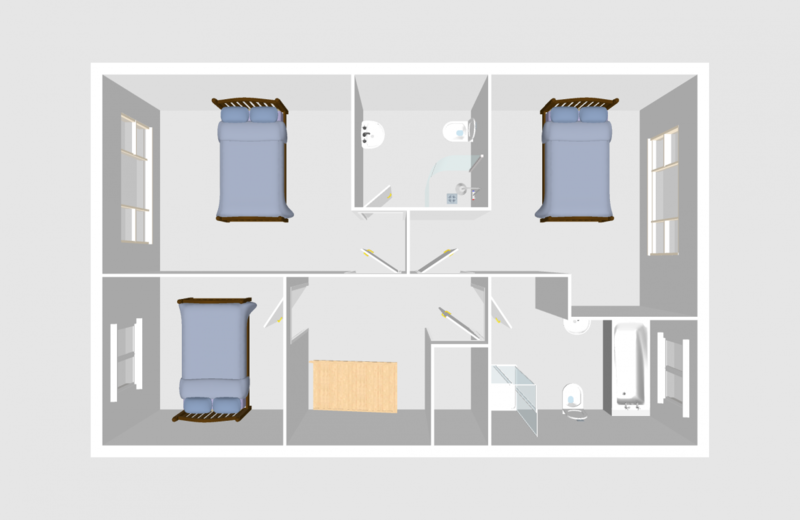 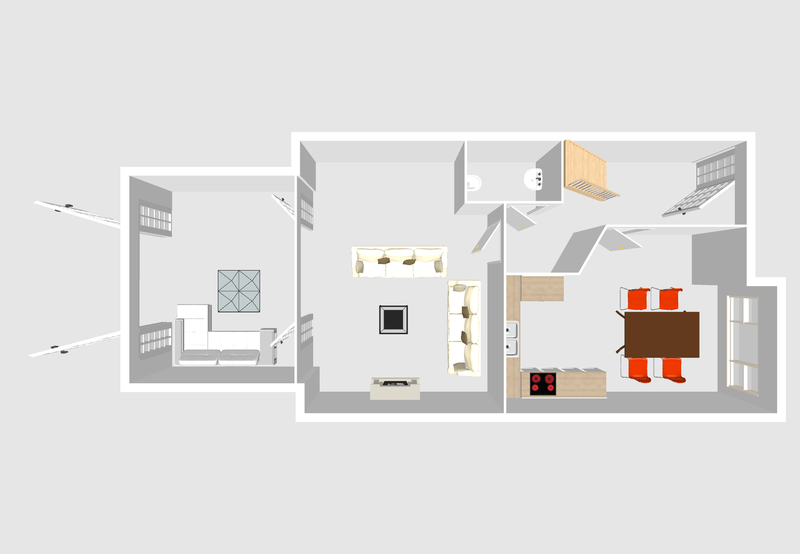 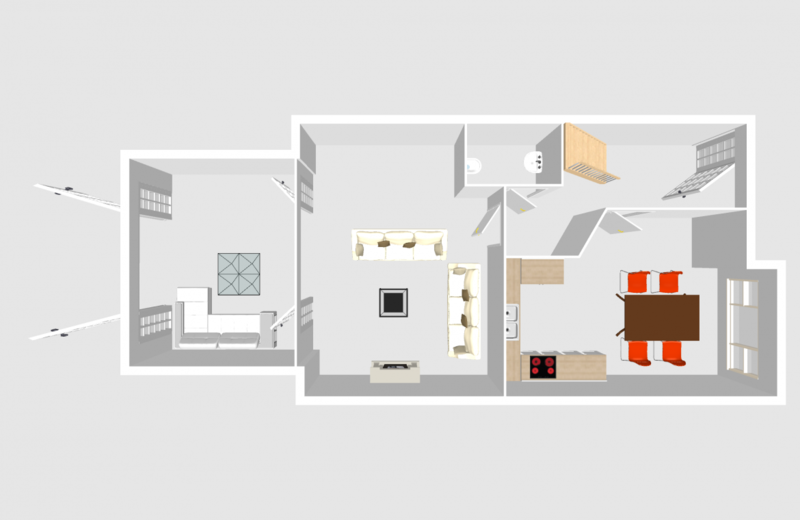 >> THREE BEDROOM – THREE BATHROOM. 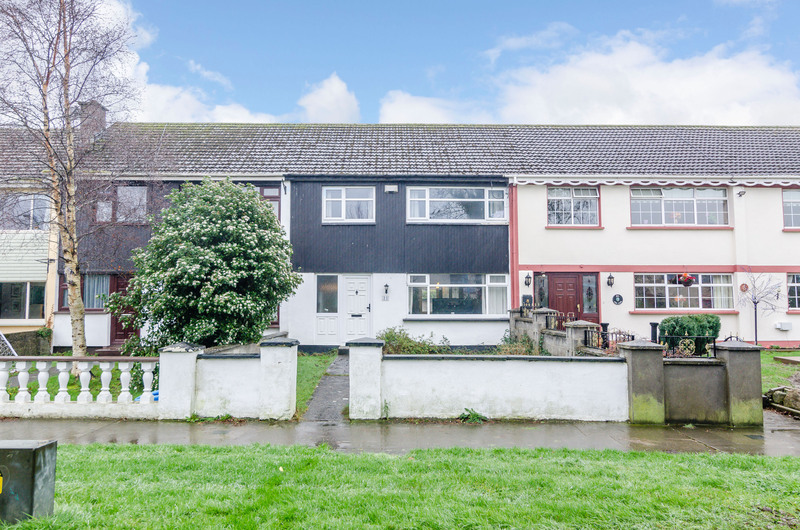 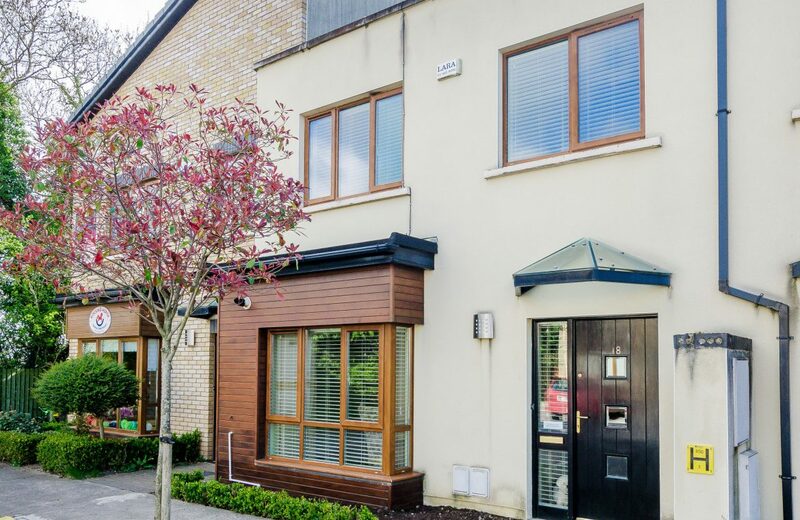 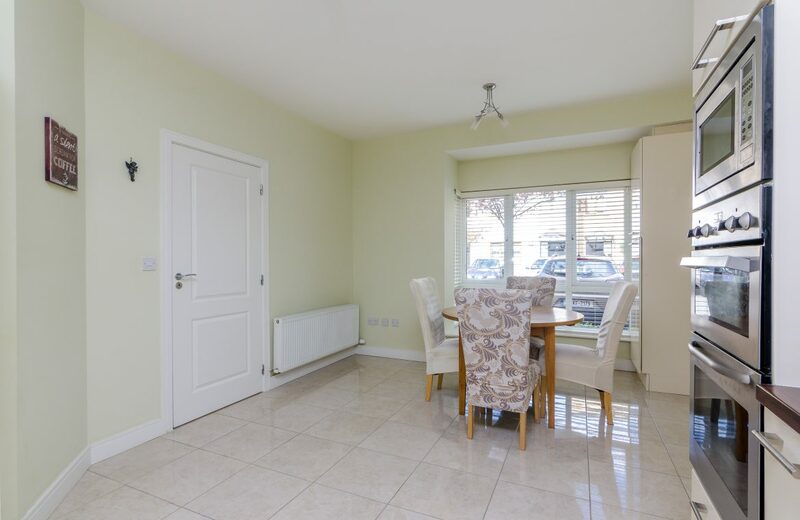 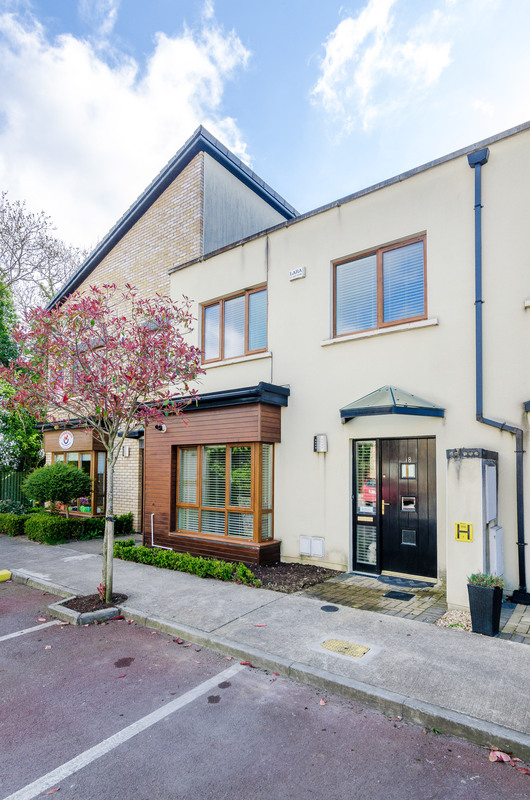 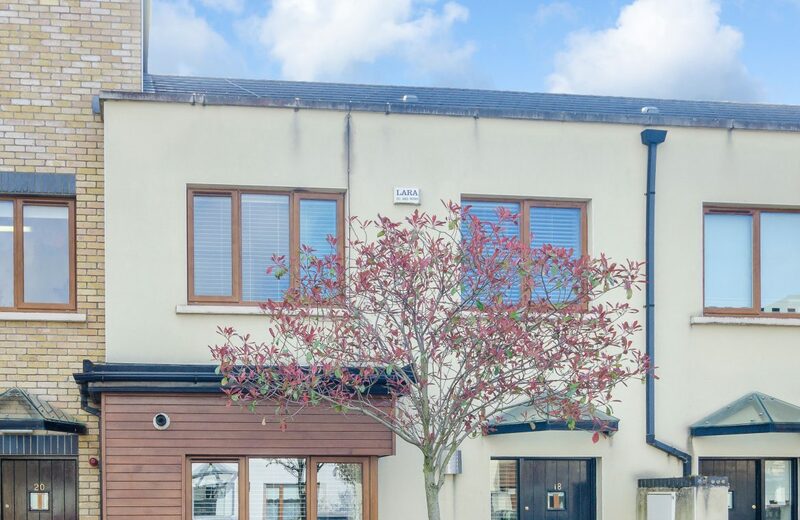 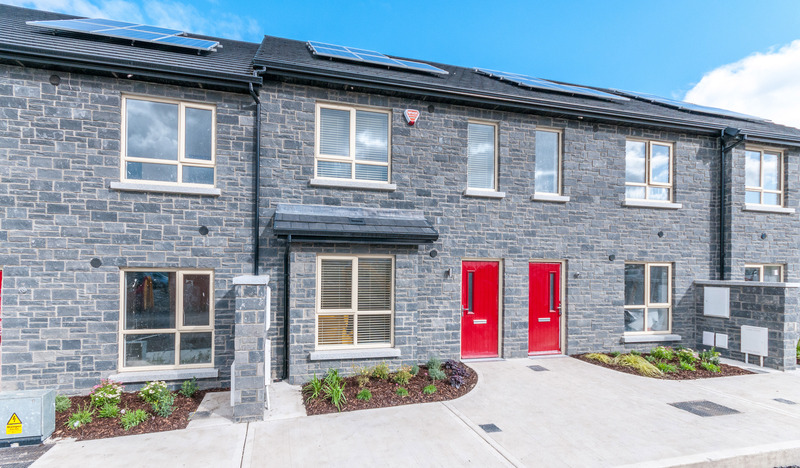 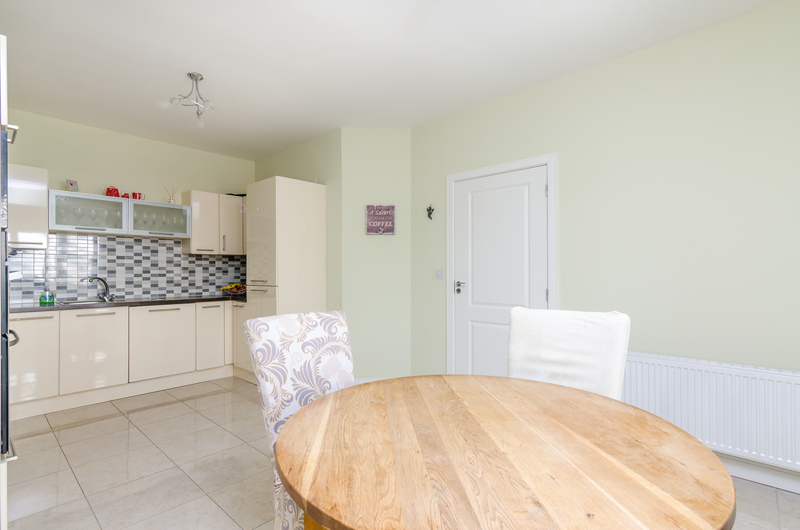 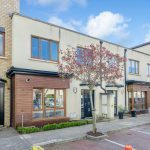 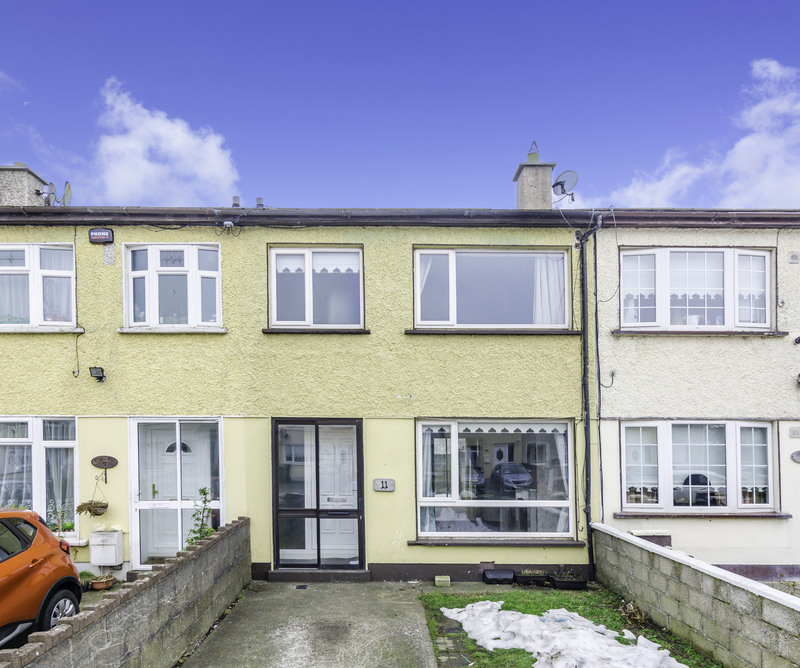 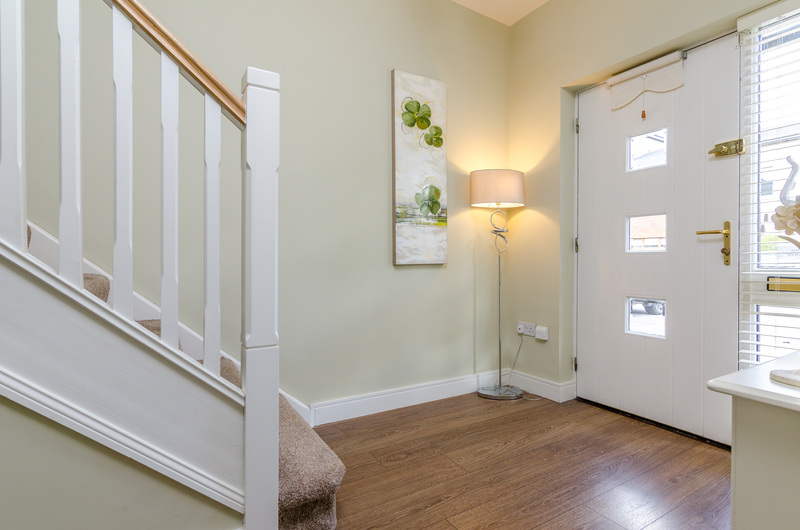 11 Fernwood Close, Springfield, Tallaght, Dublin 24. 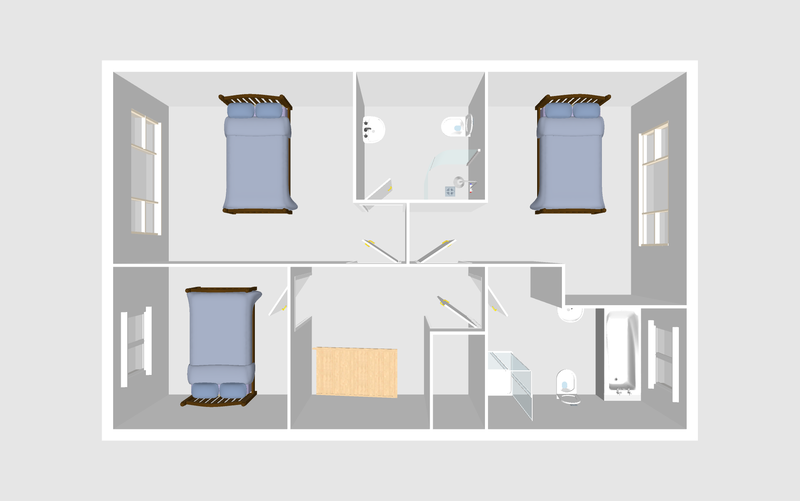 D24 R8C1.